BEIJING (Reuters) - China must lead the way in reforming global governance, the foreign ministry on Saturday cited President Xi Jinping as saying, as Beijing looks to increase its world influence. 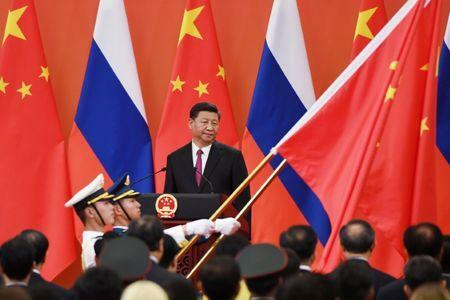 Since taking office in late 2012, Xi has taken a more muscular approach, setting up China's own global bodies like the Asian Infrastructure Investment Bank and launching his landmark Belt and Road project to build a new Silk Road. 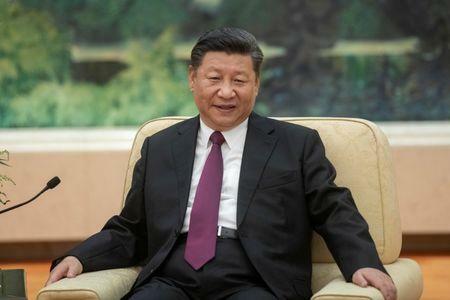 China must "uphold the protection of the country's sovereignty, security and development interests, proactively participate in and show the way in reform of the global governance system, creating an even better web of global partnership relationships", Xi said in comments reported at the end of a two-day high-level Communist Party meeting. While Xi did not provide details, the statement cited him as mentioning the importance of the Belt and Road, and other key diplomatic platforms like his "community of common destiny", a lofty concept meant to guide China's relations with the world. This proposes a "new style" of international relations is proposed that is "win-win" and of "mutual benefit" for all, but many Western nations remain critical of China's behavior over issues such as the contested waters of the South China Sea. He made no direct mention of issues like the trade dispute between China and the United States, North Korea, or self-ruled Taiwan, claimed by Beijing as its own and considered China's most sensitive territorial and diplomatic issue.